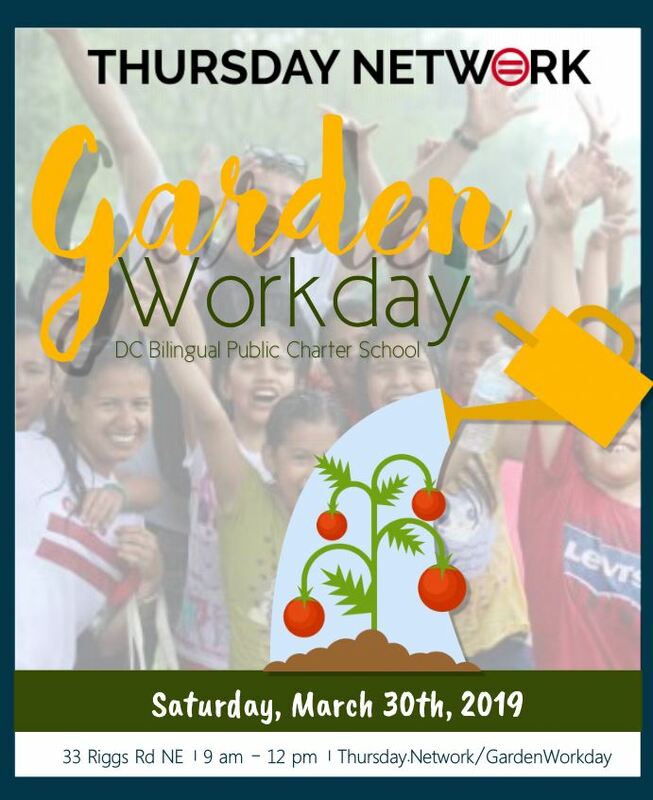 The DC Bilingual Public Charter School needs volunteers to kick off their springtime gardening on March 30, 2019. Thursday Network Is invited to be a part of the community effort on their first garden workday of the season! We will be tackling many tasks to prepare for a productive spring and they need as many hands as possible.This event welcomes children so as long as they are supervised throughout, feel free to bring the little ones with you. Please wear clothes you are comfortable to get dirty on, bring water and sunscreen, and lots of energy to make the garden sparkle!